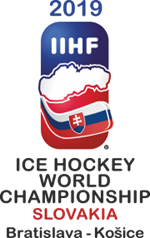 A three-goal third-period fightback saw Lithuania beat Great Britain 3-2 in Milton Keynes in the first of two international challenge matches between the two sides this weekend. GB made six scratches for the night from their 28-man training camp roster, with Thomas Murdy, Jeremy Lundin, Zach Sullivan, Ben Davies, Ciaran Long and Ross Venus missing out, while Lithuania included former NHL superstars Dainius Zubrus and Darius Kasparaitis. GB edged a scoreless first period as Robert Dowd, Evan Mosey, Luke Ferrara and Colin Shields all had good chances. But it was Lithuania who went closest to scoring as Paulius Gintautas saw his shot come back off the post. Dowd fired wide on an early second-period powerplay for GB while at the other end, Ben Bowns produced a top-class pad save from Edgar Rybakov’s shot from the slot. GB went ahead on an odd-man rush as Dowd fed Robert Farmer at the backdoor, who planted the puck near-side past Mantas Armalis. Mike Hammond took advantage of hesitant Lithuanian defending to score Britain’s second, as he pounced first to a loose puck after an awkward bounce off the backboards. Lithuania closed the gap to one when Emilijus Krakauskas tipped in a shot from the point after a spell of sustained pressure. And Lithuania then ripped GB out of position to equalise as Tadas Kumeliauskas set up Povilas Verenis to tie the game at two. The game-winning goal saw Zubrus denied from close range and the puck fell to Mark Kaleinikovas who buried the puck past Bowns from the left circle. GB head coach, Pete Russell, said: “It is never nice to lose but I saw positive things out there. “These games are all about preparing for the World Championship and Lithuania gave us a great test. “We started well and I thought we controlled the second period and really should have put the game to bed. “Credit to Lithuania though as they came right back at us in the third period, but we just need to keep the same intensity throughout the game.